Danielskillman’s weight-related health problems are now a thing of the past as he works to attain his target weight. Being more nutrition-conscious, watching food portions, exercising, and keeping himself motivated have produced positive results for him. He has lost 108lbs and nothing is going to stop him from crossing the finish line! 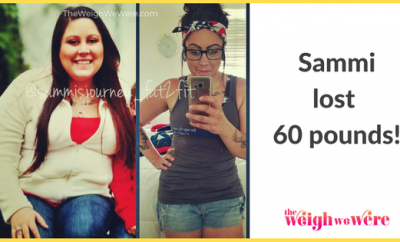 I was nearing 30yrs old and realized I wasn’t in the best of health and wanted to fix it. I was tired of being overweight and having low self-esteem and always worrying what others thought of my weight. 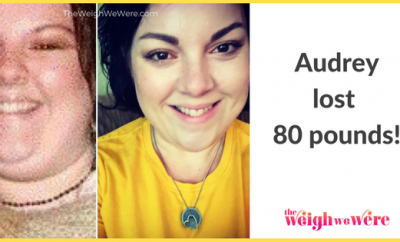 My family has a history of heart attacks and being overweight, and I wasn’t ready to be another statistic. My father is 50yrs old and has had several knee surgeries from pressure on the knees. I was 26yrs old, already having knee aches and felt like an old man. 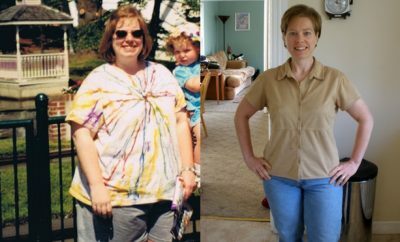 I woke up every morning hurting from being overweight and not sleeping well. I was so overweight I got winded from walking around and it hurt to stand for long periods of time. I wanted a better future for myself, I have little children who I want to live a long time to enjoy seeing them grow up and being able to play and keep up with them. I have tried several things over the years and was never successful until I found Calorie Count. I tried the Tuna Diet and just got sick on it. After high school it was 9yrs of gaining weight and not being able to fix it until I properly learned how to balance my calorie intake versus what I burned. I first cut out my cokes, sweets, and fried foods. After one month I lost 20lbs in just water weight. This allowed me a little relief on my knees to be able to start running on a treadmill. I started working out with some friends and this helped boost my energy and weight loss. 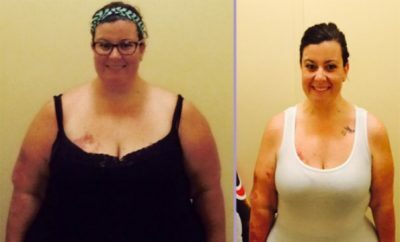 It took 6 months to really start seeing results but when I started getting compliments from friends and co-workers I knew I was heading in the right direction. The most important change for me was being able to enjoy outside activities with my children and not be exhausted and just having the energy when I got home from work to go outside without wanting to sit on the recliner and watch TV. Calorie Count really taught me the proper balance of counting calories and that the proper foods to eat. The daily blogs are awesome support and a pick me up when I felt like giving up. It was really discouraging at times. Not being able to eat what I wanted, and what I was use to. Also making myself exercise when I didn’t really want to but knew it was to benefit me. Over time it got easier though. Healthy foods came natural and I gained a desire to run and workout. It took me about 6 months to really see results. My face started slimming up and that’s when I could really see it. When I was able to run 5 miles without stopping and fit into a size 34 pants. I started off in a size 44 pants. I remind myself how hard it was to get where I am now and that I don’t want to go back to that. I’m not going to waste all that effort. I also look at fat pictures of myself and occasionally slide on a pair of my fat pants to see the difference. I have a lot more energy to enjoy life. I love being outdoors with my family and going to the gym. I have more confidence at my job and not afraid to speak up. I’m not so worried about what others think of me anymore. It’s just a lot better lifestyle and I never want to go back to that “lazy couch potato” I was. Take one day at a day. Rome wasn’t built in a day; don’t get discouraged if you don’t see results right away. remind you to work harder to achieve your goal. you don’t get in a lazy rut. Keep your eyes on the finish line. Picture what it will be like when you get to that point and remember you are doing this for a brighter future. 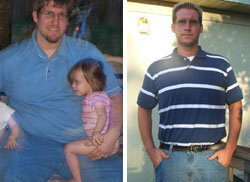 ← Previous Story Male Weight Loss Success Story: I Lost 46 Pounds And 5 Inches!